Mid-value giving is the Cinderella of charity fundraising. Whole conferences are given over to its near-neighbours individual giving and philanthropy, but all too often mid-level giving is neglected and overlooked. Recently, though, mid-value giving has grown in prominence, partly because recruiting new supporters and high-value donors is getting tougher in the current financial and regulatory climate. As a result, more charities are looking to work in a smarter way with their existing supporters. Here are some tips to help you get a mid-value programme rolling. Your charity probably already has donors giving mid-value amounts of between £250 and £5,000 a year, so it is worth selecting a group of supporters who are donating at this level and developing your offering. Mark Phillips, founder of Bluefrog Fundraising, suggests that charities should start by analysing their databases of individual givers, looking at factors such as who has recently started to give, how often they give and how much they give, and in this way identify a prospect pool. These supporters can then be sent a bespoke appeal with higher-value asks. Implementing a mid-value programme isn’t just about asking for money; it’s also about building a stewardship programme that helps donors and supporters feel closer to the cause. For example, inviting sup-porters to behind-the-scenes events or providing them with a named contact can help supporters feel more connected to your charity’s work. The best place to start is by speaking to supporters, according to John Hutchin, key relationships manager at Greenpeace UK. Fundraisers often think they know what’s best for supporters, but there’s no substitute for the insights you can gain by taking the time to understand what makes them tick. Charities can then create bespoke programmes that tick their boxes. Jen Waldron, individual giving manager at the National Trust, also believes that putting supporters at the heart of decision-making is key to getting it right. Arguably, this credo should drive all fundraising, but it’s particularly important for higher-value supporters. 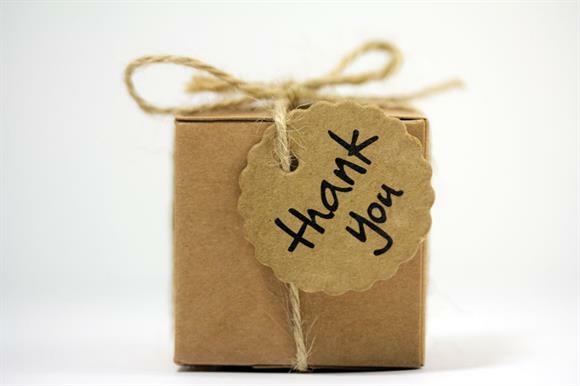 Someone who has given £5,000 doesn’t just want a thank-you note a couple of days later – they want to know that their investment paid off and had an impact on beneficiaries. That doesn’t just mean sending them a copy of the charity’s impact report. They need tailored information about the specific area of work they have contributed to. Direct mail is still a key channel to mid-value supporters, but as a rule this group needs something a bit different. Bluefrog Fundraising’s Phillips says charities should consider using "a creative approach more akin to old-school fundraising". This might include an extended insert with extra details, or additional content. The National Trust’s Waldron suggests tweaking a mass-appeal pack, rather than creating a stand-alone piece, because this helps to keep costs down. Higher-value supporters are much more likely to consider themselves as partners, not just givers. They trust that you are the experts, but they want to understand more about the decision-making, the doing and the outcomes. They want to be actively engaged in the work, and that will help them make considered decisions in future. Waldron says they might have supported the charity longer than you have worked there, so you might learn something from them. Many mid-level donors plan their giving annually, says Phillips, and it’s important for charities to understand the donor’s decision-making cycle. So charities should build relationships that enable them to make the future ask at the right time for them. Charities might have to do some behind-the-scenes work before they start new programmes. It is important to make sure any data is as clean and up-to-date as possible. Remember, you are building a personal relationship with these supporters, so a salutation shouldn’t say "Dear supporter". When writing to a supporter, reference their previous giving and update them on any projects or appeals they have supported. If you are speaking to them, reference an event where you or your team met them or are due to see them in the near future. A final note on income targets: there are potential headaches with the "ownership" of mid-level supporters because they fall between individual giving and philanthropy. Working closely with other teams – and making sure you develop targets together – should enable you to build a programme that focuses on holding relationships where they sit best for the supporter. The Dublin-based creative agency Ask Direct helped the Irish humanitarian charity Trócaire develop an appeal to generate mid-value gifts from its direct-marketing database. Using recency, frequency and value to analyse the data, two variants of the same appeal about cholera in Somalia were created. The higher-value pack, sent to about 20 per cent of those on the file, included a letter from a manager in the field, postcards and inserts with background information. The envelopes were handwritten and hand-stamped for the top 4 per cent and laser handwritten and stamped for the rest. The standard packs were not handwritten or stamped and some inserts were removed. As a stand-alone piece, this pack would have been very expensive to produce, but making it a variant in a mass appeal made it more cost-effective. 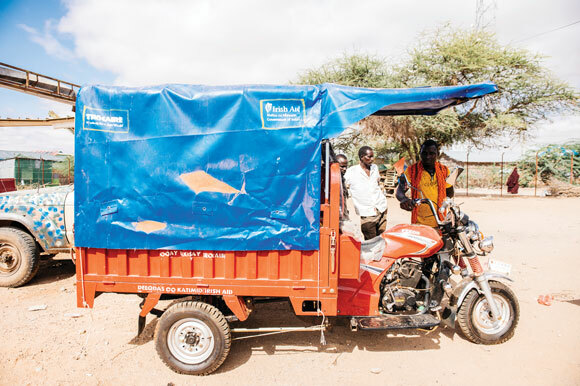 The higher-value pack included a two-page letter from the director of fundraising and marketing, asking for €4,350 (£3,765) to buy a tuk tuk ambulance in Somalia. Cholera is easy to treat, but there is a short window, about six hours, in which to receive treatment once infected. Tuk tuk ambulances enormously improve the ability to respond in time. More than 22 donors responded to the tuk tuk ask, raising more than €93,000. The follow-up for these supporters was also carefully tailored. Each received a personalised video message filmed in Somalia by Trócaire’s international director. Where permissions existed, they also received a telephone thank you. Follow-up mailings included an impact postcard, as well as a letter tailored to reference the appeal. Where next for direct mail?